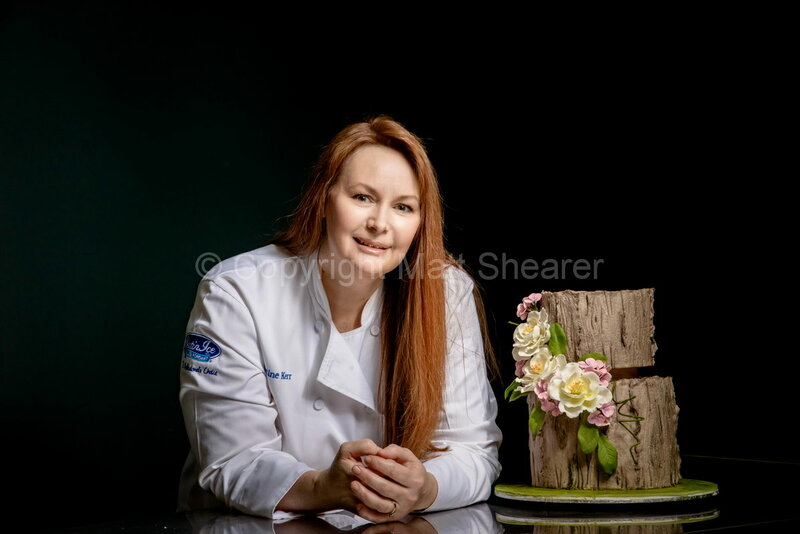 I was asked by “Artist of Excellence” Christine Kerr to carry out some business portrait photography of herself and photos of some of her cake designs for use in promotion literature for her cake decorating school “The Raspberry Butterfly”. Christine was also about to embark on the maiden voyage of “Cake Me Away Cruise”, catering to the Australian and New Zealand cake community. Good photography is key for any hospitality business. Customers don’t have time to be scrolling through your website to read about your story, and as they say; “a picture tells a thousand words”. The rise of media platforms such as Instagram and Facebook has everyone demanding innovative, creative content. If you want to stand out from your competitors this is essential. Photography for your website, advertisements and emails should be done professionally and are absolutely worth investing in. A good photograph will pay for itself many times over in attracting new clients. It’s worth spending the time to find the right one for your project. “Remember, you get what you pay for.